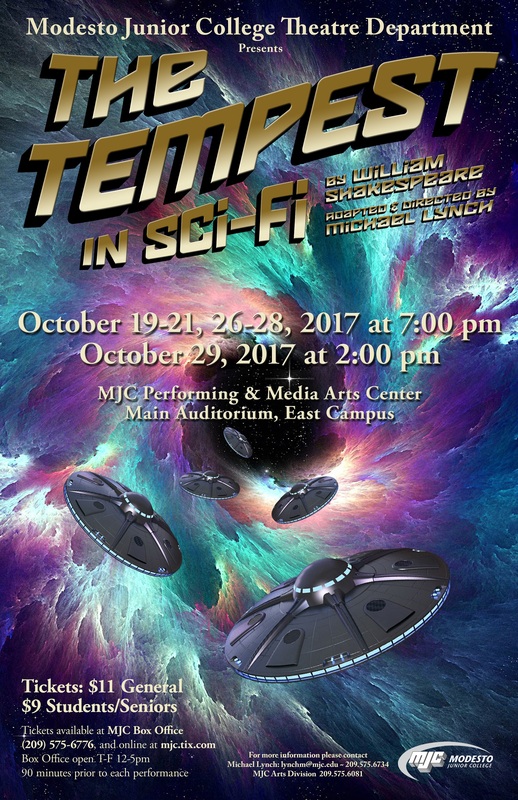 The Modesto Junior College Theater Department presents a science fiction version of William Shakespeare’s The Tempest on October 19, 20, 21, 26, 27 and 28 at 7 p.m. and October 29 at 2 p.m. in the Auditorium of the Performing and Media Arts Center on East Campus, 435 College Avenue, Modesto. 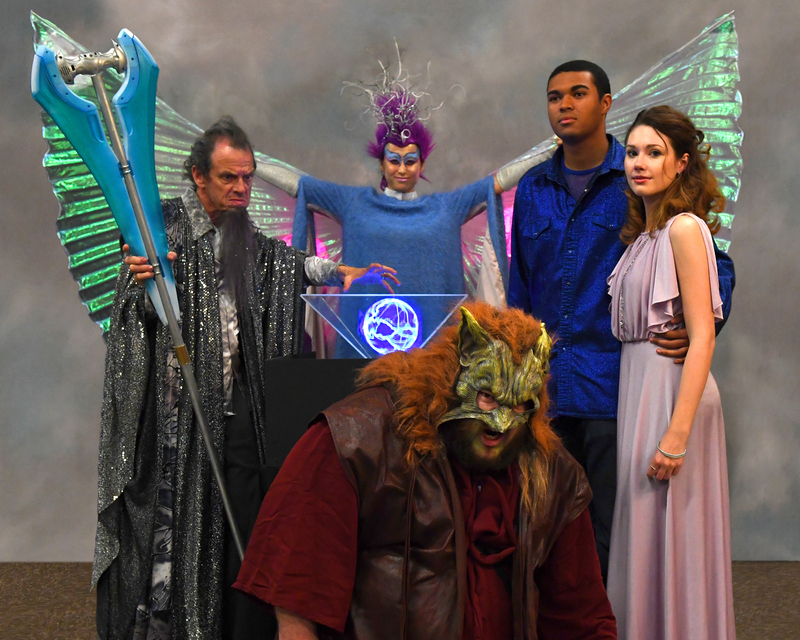 Director Michael Lynch’s adaptation of the play sets The Tempest on a “forbidden planet” in the year 3020 A.D. when Earth was divided into 12 empires under several dukedoms. The play is in Shakespeare’s original language with added dialog to keep within the genre of a sci-fi movie circa 1950′s. The production incorporates many technical delights, including aliens of all galaxies, starships, a magic crystal ball, and monsters – both human and otherwise. The plot features a roaring space tempest instigated by the exiled duke, Prospero, who takes his revenge upon his wicked sister, Antonia, who usurped him 12 years past and had him stranded on a forbidden planet with his young daughter, Miranda. Tickets are $11 general admission, and $9 for students and senior citizens (62 or better). Tickets may be purchased in advance online at http://mjc.tix.com, or at the MJC Box Office, Tuesday through Friday, 12 – 5 p.m., or by calling (209) 575-6776 during these hours. Tickets will also be available at the door beginning 90 minutes prior to each performance.